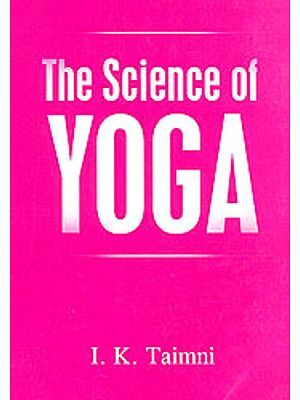 the foundational text for the practice of yoga since. The Yoga Sutra sets out a sophisticated theory of moral psychology and perhaps the oldest theory of psychoanalysis. For Patanjali, present mental maladies are a function of subconscious tendencies formed in reaction to past experiences. He argues that people are not powerless against such forces and that they can radically alter their lives through yoga-a process of moral transformation and perfection, which brings the body and mind of a person in line with their true nature. 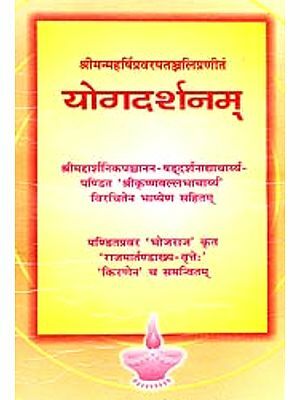 Accompanying this illuminating translation is an extended introduction that explains the challenges of accurately translating Indian philosophical texts, locates the historical antecedents of Patanjali’s text and situates Patanjali’s philosophy within the history of scholastic Indian philosophy. Shyam Ranganathan has an M.A. in South Asian Studies and an MA in philosophy from the University of Toronto, and wrote a Ph.D dissertation at York University in analytic philosophy on the topic of translating philosophical texts across languages. His areas of research include Indian philosophy, theoretical ethics and the philosophy of language. He is the author of Ethics and the History of Indian Philosophy. The Yoga Sutra is one of the major, classical works of Indian philosophy codified sometime around the second or third century CE. Little is known about its author, Patanjali, or even if there is an author by that name. We can only assume that there was indeed a sage-philosopher named ‘Patanjali’ who authored the text attributed to him. The Yoga Sutra is certainly not the first text in the history of Indian philosophy to speak of yoga. The idea of yoga can be found in texts as early as the Vedas; and meditation, an integral part of yoga, was practised by the Buddha and the Fordmakers of the Jain tradition. 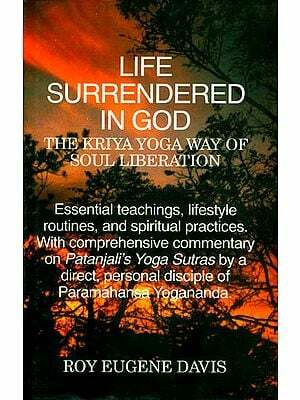 The Bhagavad Gita too displays a great interest in the topic of yoga, as do many less popular works from the history of Indian thought. But the Yoga Sutra stands out among all such texts in being explicitly about the topic of yoga and in attempting to provide a formal, systematic and philosophical elaboration of the practice. It was to become the classic work on yoga in the Indian philosophical tradition, inspiring later philosophers from contrary schools, such as Jainism and Advaita Vedanta, to incorporate many of the features of yoga as Patanjali conceived it. Of the classical texts of formal Indian philosophy, it is no doubt the most commonly translated and widely read In the English-speaking world. The recent, global popularity of yoga, as a practice of posture flows (misleadingly called ‘asana’, and sometimes also ‘hatha yoga’), is to be credited with the ubiquitous interest in the text. While the concept of YOGA is important to the Indian philosophical tradition on the whole, and shows up in formal philosophies of many of India’s traditions, the Yoga Sutra is the most definitive account of yoga. In light of the importance and popularity of the Yoga Sutra, and the wealth of translations of this text, one is compelled to ask the question: Is another translation really necessary? I came to believe in the necessity of a new translation when I first started teaching the’ Yoga Sutra to students in short workshops. I was faced with the challenge of finding a translation that I could make do with, and I could find none. In my research in South Asian Studies and philosophy, I had found that historians of Indian thought had systematically failed to properly translate the moral philosophical content of Indian philosophy into contemporary languages. I was deep into my doctoral research in philosophy, working on a dissertation on the problem of translating value talk and philosophy across languages and cultures. Given this background, and the convictions that I had arrived at through my research, I found that the available translations of the Yoga Sutra suffered from two drawbacks. One problem is common to most translations of Indian philosophy into western languages. 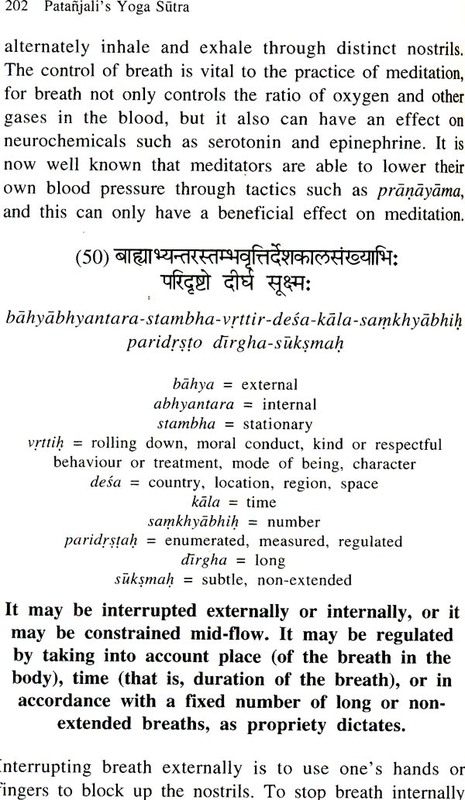 The second problem is more particular to translations of the Yoga Sutra. The common problem with translations of Indian philosophy is that they fail to retain the moral philosophical significance of the Indian philosophical tradition. The problem with translations of the Yoga Sutra in particular is that they often read into the writing of Patanjali contrary systems of philosophy from the history of Indian thought, thus blurring the distinction between Yoga and other schools. Part I: Why a New Translation? Jainism: How far does the overlap extend?